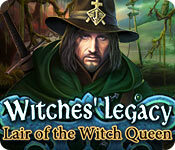 Witches' Legacy: Lair of the Witch Queen is rated 4.1 out of 5 by 36. Rated 5 out of 5 by Yanie1020 from Lots of Fun! Good game. And it was longer than many other games. I enjoyed the puzzles and even the HOS's, which tended to pop up more frequently towards the end of the game. I think most players would have a good time with this game. Well done, Elefun! Rated 5 out of 5 by rpggramma from LOVED IT!!!!! Just finished!! My kind of game!!!!!! Great game! I loved everything about this game! The puzzles are great!! Storyline is very good. I didn't know about the series; I just purchased the latest one, so I have #3 and #5. I will now have to get 1, 2, & 4. I'm sorry that I didn't start at the beginning, but it didn't matter,bc this is a stand alone game. I just like to play in sequence. Get this one; it is good fun!! Rated 5 out of 5 by SoulsRival from Brilliant,captivating Wow!!! Cant find the word's truly awesome. 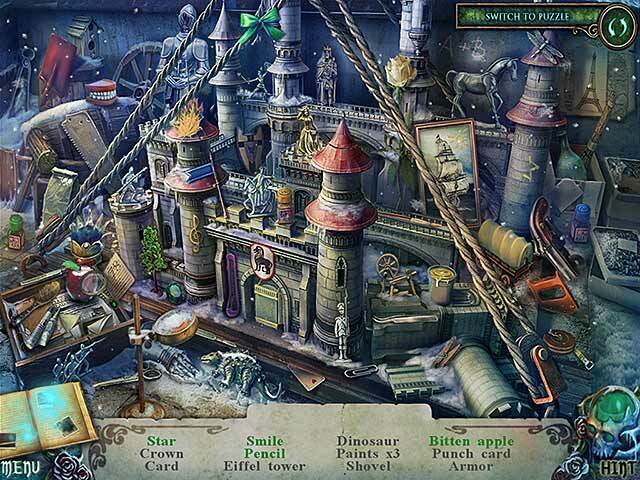 Game graphics & storyline Brilliant cute little Imp helper that you can name, hidden object scenes can be switched toggled between tile match absolutely love this feature don't have to wait for the hint to reload to find an item just switch to tile match . I'm still currently playing this game for the past hour and a half but I just had to stop to write a review. 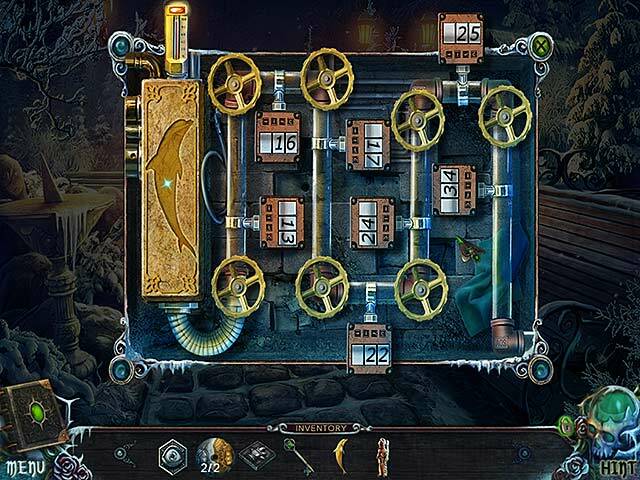 The difficulty level is medium to hard at times Mini games are challenging but enjoying plenty of investigating. Absolutely worth more than 5 stars Truly worth buying. Hats off to the creators. Love it!! Looking into the other sequels.. Rated 5 out of 5 by tutortime from Excellent game. Really enjoyed playing this game. Interesting story line and graphics were good. It was also a nice long game. Rated 5 out of 5 by roaming from Great Game I thought this was an excellent game, with all the issues I didn't like in the first installment much improved, including graphics that were not as grainy. The music in this one was a little distracting in one place when the tune cuts off suddenly and then starts over. Normally, I don't like little helper creatures, but the imp in the one is awesome. Whoever the artist who created him was, he or she definitely has a little boy. You'll see what I mean if you try the demo! He's interactive as well. If you touch his hair with your pointer, he'll look at you and scratch his head as if to say, "Stop it!" And he's a great little climber, too. I would love to have him in a little stuffed version sitting on my desk! (hint hint!) I think EF is becoming one of our better developers. I highly recommend this game! Rated 5 out of 5 by cbilbo from Nothing like a little revenge I really enjoyed this game. I played on the hard level, so I didn't have any hints or sparkles to indicate where to look. For me, this made the game a lot more challenging. Several things about this game I liked: *I really enjoyed the dialog. Normally I skip through this part of the game. However, I was interested in what the characters had to say. *The little imp was just too darn cute! *The interactive map is a must when you are traveling among a lot of places. Just makes it easier. I found that this game presented a couple of challenging games. I was able to figure them all out on my own, but two of them were really starting to make me mad. But I did it! YEAH ME! I believe that this game would be great for any person...beginner and expert. You have the opportunity to choose which level you want to play. Rated 5 out of 5 by denniann2 from terrific game i liked this game a lot. played casual, no sound. hint/skip charge really fast!!!!!! there is a diary and an interactive map. it also shows where you have things to do. the graphics are good and items are not hard to find. hints tell you what to do as well. 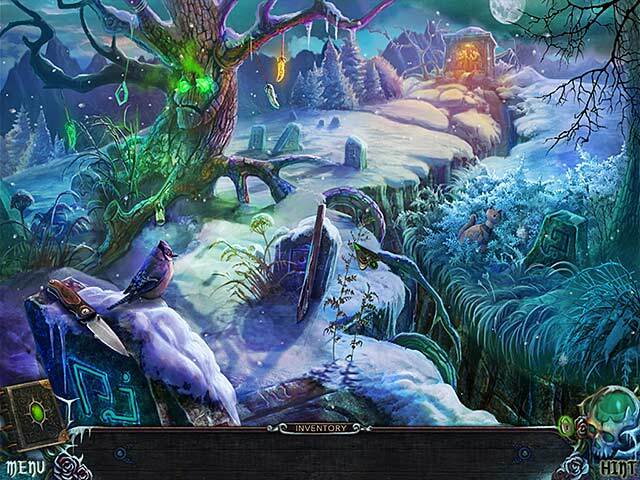 Rated 5 out of 5 by tiffanymaxwell from Great puzzle variety, some superfluous elements I really enjoyed this game. The plot was simple and interesting enough, the puzzles are varied and fun, and I completely adore the fact that you had the option to do a matching game instead of an HOS. There was only one lock that I found incredibly unintuitive, but other than that, everything was doable as long as you thought carefully. I did not particularly care for the imp following you around. It felt unnecessary, not organic to the gameplay. There was nothing the imp does that the heroine couldn't do with two working arms and a step ladder, and god knows those are hardly uncommon in HOPAs. Just stick them in your pocket with the screwdriver, life-sized stone statue of Cthulu, the broadsword, and all the other stuff you end up carting around in a HOPA. MINOR SPOILER ALERT: I did not at all care for the final puzzle. I felt it implied the possibility of multiple endings, and it just doesn't deliver. So I found that a waste of time. I'm also rather confused as to why the witch hunter is on the cover. He is not an important character. Would make more sense to have the witch instead.